I stayed up way too late last night taking advantage of Showtime’s free preview weekend and watching episodes from season two of Homeland, so the girls and I headed over to the Shirlington dog park much later than usual. 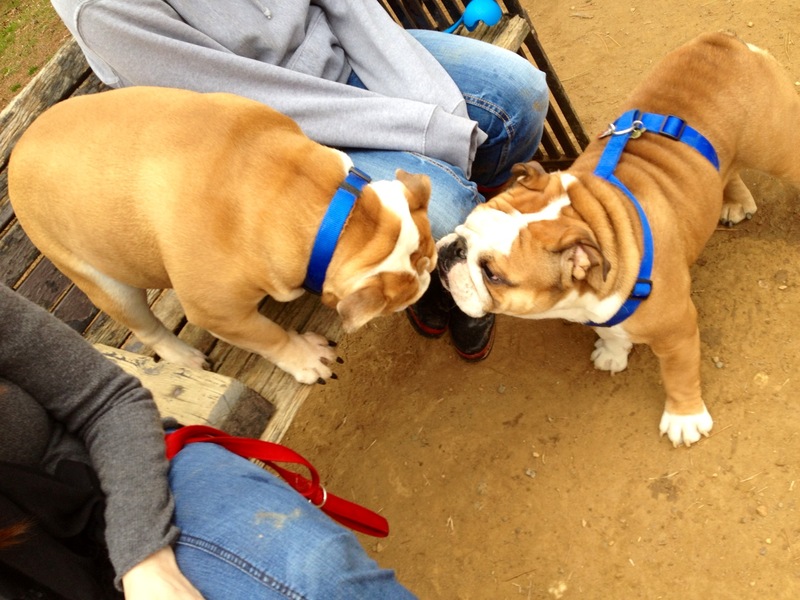 Turns out we were there at the same time as the D.C. Bulldog Meetup group, and I’ve never seen more heavy-breathing, wrinkle-faced, snaggle-toothed fur faces in my life! 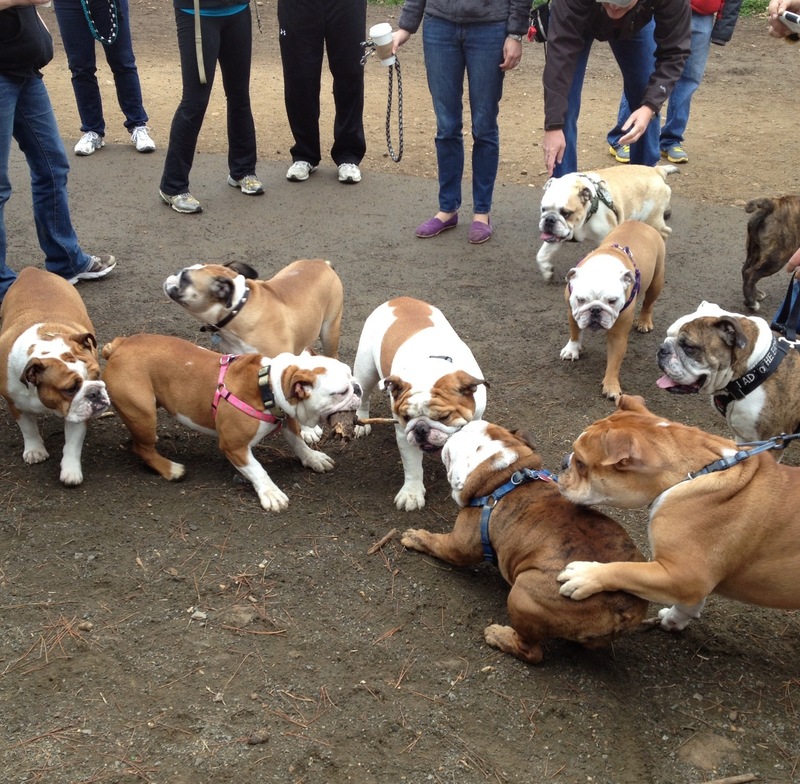 According to the group’s website, meetup.com/dcbulldogs, more than 60 dogs were there, and they were all having a blast. 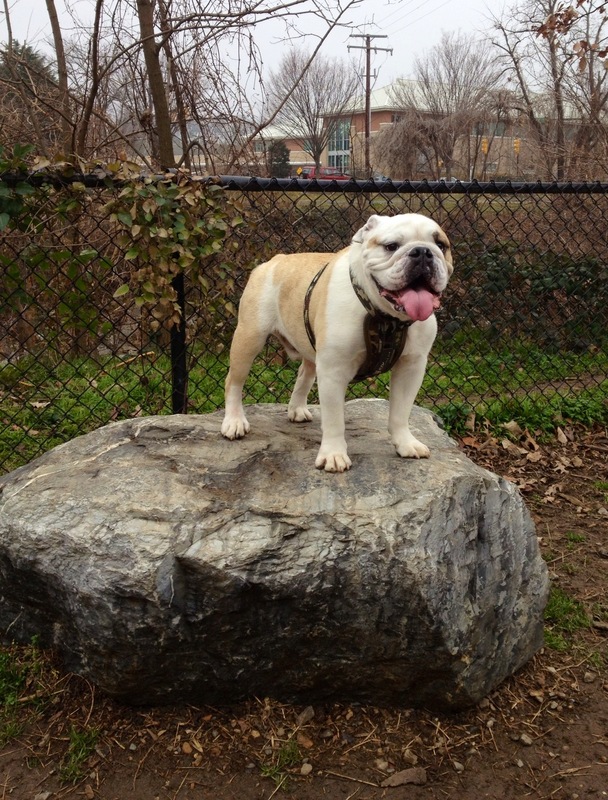 The Bulldogs were surprisingly agile on their stubby little legs! 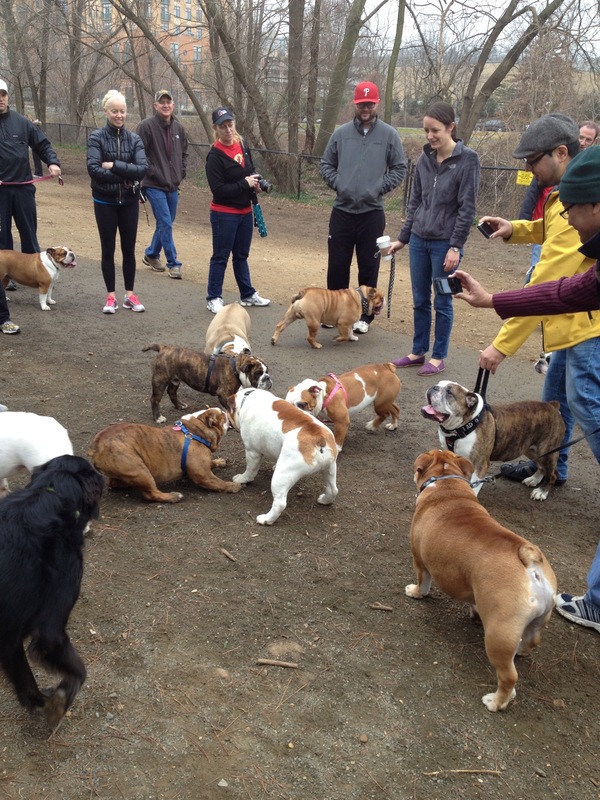 There are a ton of Meetup groups in the area for owners of specific dog breeds, so if you want to get together with like-minded dog lovers, go to Meetup.com and search under the Pets & Animals category.